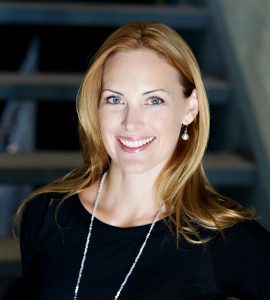 Aging Gracefully with Carly Kuntz | January 2019 – This will bring you joy! Here at The Waters Spa, we have a couple of Kondo-ites who could have co-written the books with Marie. Once a week, Agnes goes through the cupboards in each spa room – tidying, organizing, and making sure that all products are stocked and ready for facials. While esthetician, Allison, perpetually reorganizes our polishes to make sure they are easy to find for manicures and pedicures. This season, I challenge you to “Kondo” your bathroom space and add more joy to your skin care routine. Empty: Completely empty the drawer or cupboard and wipe it clean. Toss: Marie Kondo says that you should toss everything that doesn’t bring you joy. Sort: Put the moisturizers together, eye creams, masks etc. Sort them into groups on the bathroom counter for now. Also sort by seasonal groups, if this applies – such as a lighter moisturizer for summer and a heavier one for winter. Store: You might find you that have more than one moisturizer, etc. Put the extras in a plastic bin with a lid at the back of the drawer or cupboard. And remember not to buy any more until you have used up your stores. Store your out-of-season products in a labeled bin. But don’t forget you have them! Organize Strategically: Now it’s time to organize the usable products back into your drawer. 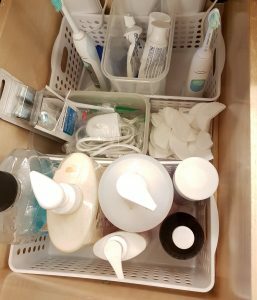 I find that investing in plastic organizing trays from the dollar store helps to keep the drawer in shape and the products in place. Think about how you use the products and be strategic in your placement of items, finding ways to make your life easier. For example, put your cotton pads beside your toner in the same drawer so that you don’t have to open 2 drawers each time you tone. In my own bathroom, I keep the products that I use every day in the top drawer and the masks and exfoliants that I use less frequently in another drawer.So where’s the joy? I may be a bit OCD, but I feel immense relief and joy when I can find all of my products immediately and when there is a place for everything. You know the old saying! 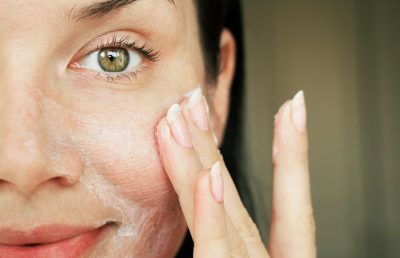 What skin care products should you have in your bathroom? I’ve provided 2 lists – one for the woman who doesn’t mind a thorough routine and one for the woman who prefers a quick-and-easy routine. *Even for the thorough skin care routine, it is nice to save time and money on products…. Enter, Rosée Visage Toner and Make-up remover in one, by Phytomer. Eye creams are specially formulated for the thinner skin around the eye area and will not leak into your eyes leaving a filmy residue like other moisturizers will. And believe me, when you see your eyes looking brighter, less crêpey and generally more youthful, that will bring you joy!